Най-голямата звезда в снукъра Рони О‘Съливан ще пристигне в България за демонстративен мач с Джими Уайт. Петкратният световен шампион ще представи официално и своята автобиография „Бяг“ за българската публика. Двубоят между легендите Рони О‘Съливан и Джими Уайт ще се състои на 20 ноември в зала „Универсиада“, само две седмици след PTC Bulgaria Open. !!! Феновете на снукъра, които искат да посетят двете големи събития през месец ноември ще могат да използват специална отстъпка при закупуването на билети. 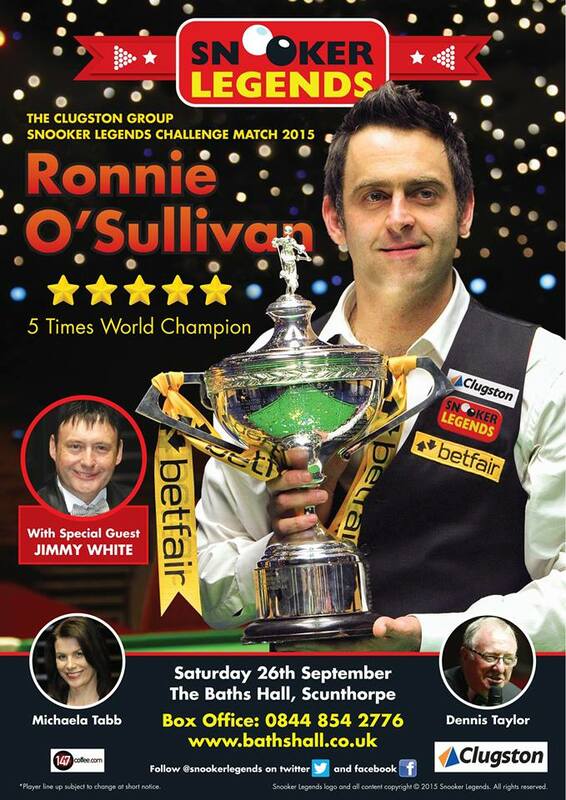 The biggest star in snooker Ronnie O’Sullivan will arrive in Bulgaria for an exhibition match with Jimmy White. Five-time world champion and will formally present his autobiography “Run” for the Bulgarian audience. The match between legends Ronnie O’Sullivan and Jimmy White will be held on November 20 in “Universiade”, just two weeks after PTC Bulgaria Open. !!! Snooker fans who want to visit the two major events in November will be able to use a special discount when purchasing tickets. “I don’t know when I’ll be back” says Ronnie to Desmond Kane … and explains why. Ronnie’s latest Eurosport blog is out. In his latest blog, five-times world champion Ronnie O’Sullivan explains to Eurosport’s Desmond Kane why he is giving next month’s International Championship a miss, and why he won’t yet commit to defending his UK title at the end of November. He reveals plans to host his own tournament and heaps praise on vintage cuemen John Virgo and Dennis Taylor for keeping the magic of snooker alive. The reason why I’m not playing in the International Championship in Daqing in China (Oct 25-1 Nov) is because I haven’t prepared properly. I will only enter competitions if I’m ready. Otherwise, I feel like I’m letting myself down, and more importantly the people who pay to come and watch me and the people who watch me play on television. I’m sure they want to see me at my best too. I’m doing plenty of exhibitions which I’m enjoying a lot. It’s great to get back into the snooker clubs and feel the atmosphere of the club camaraderie. I hope to be playing in some major events at some point, I don’t know when it will be, but I will let everyone know as soon as I know through my Eurosport blog. It’s very hard to juggle and do it all. There are sometimes not enough hours in the day. 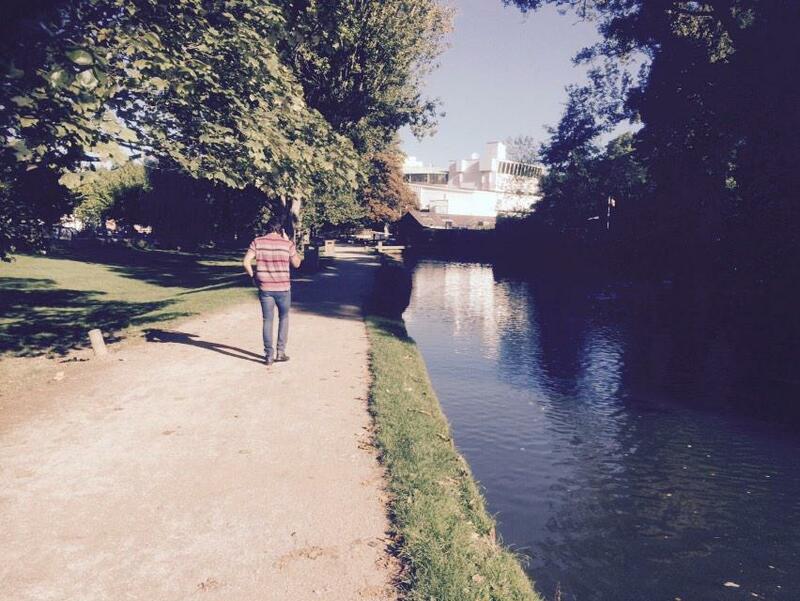 But what I have discovered is that it’s about prioritising what you do. I’ve been putting in some much needed practice which has been fun and enjoyable. I’ve realised I just want play, whether in competition or practice, but I also want to do myself justice. Having some exhibitions to prepare for tournaments later this season has helped keep me motivated to play. I realised when I took that break a couple of years ago that snooker was and will always be a part of my life. And it’s just about getting that right balance. What that balance is I still don’t know, but I’m enjoying the process of finding out. Exhibitions are pure snooker. The people that come to watch me in action are your proper snooker fans. I can relate to them, and they can relate to me. I love the fact that I’m working with John Virgo, he’s a real professional. We have such a good time on the road, and I wouldn’t miss these nights. I have so much fun doing these events, and the people have a good time too, which is very important. It reminds me of when I was young and starting in the game. We had Alex Higgins, Stephen Hendry and Kirk Stevens all coming to my club to play. There was such a buzz around the club for at least two weeks before they arrived. The whole club would be talking about them coming to play. There was a sense of anticipation so for me it’s great to be on the other side of the fence now by giving back to the fans that have truly supported me over years, and it’s also giving me the opportunity to go back to my roots. I love the old snooker. There is something great about a good snooker club. It has a special feeling. I don’t know, it’s like my church, and I feel at home there. I’ve lived my life in billiard halls so it’s very important for me to include these nights in my schedule. And like I said, getting to work with people like john Virgo and Dennis Taylor is a real joy. It’s so nice to see their happy faces. We are all mates for life, and getting to work with your mates is something you just can’t put value on. I now have great things going on with Eurosport, it’s been a great working relationship. I love working with everyone at Eurosport with my show and this blog. It’s like being part of a family, so it’s important to do the best job I can for Eurosport. I would love to have my own tournament. I like the sound of the Ronnie O’Sullivan Classic, a bit like Tiger Woods does when he hosts his World Challenge for good causes. That would be fantastic, I would definitely have a shot clock in place. I would like my event to be fast, furious and full of attacking play – all the dynamics that I think are important in any sport. 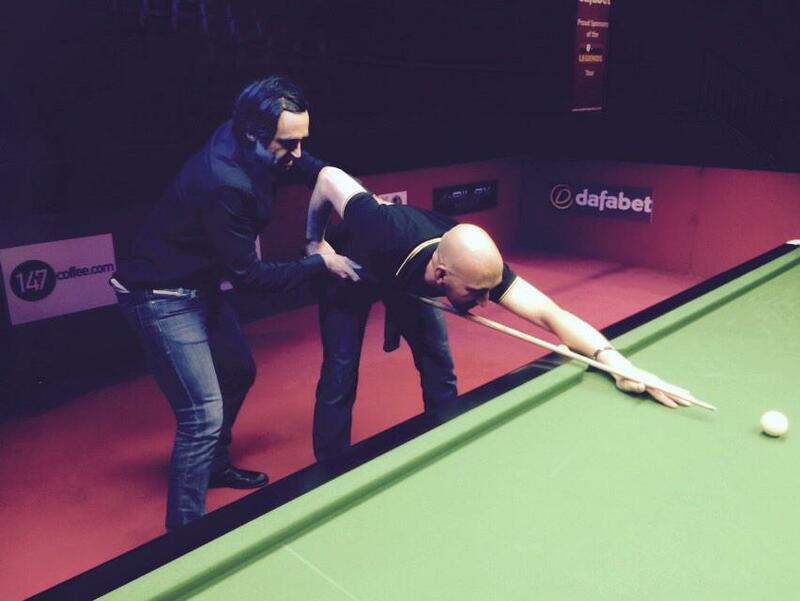 They do it in golf, so why not in snooker? 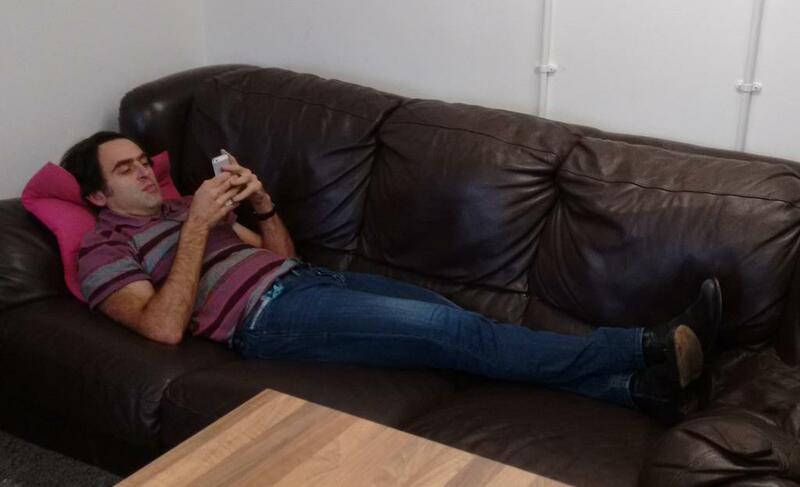 I continue to keep a keen eye on the tour, and I realise how tough the standard of competition is. You need to be switched on to compete with these guys. What a great win that was for Ali Carter in the Paul Hunter Classic. Everyone in snooker will be over the moon for him, not only did Ali win, he won it with a fine display of match snooker. Playing like that, he can win a World Championship. Not long after that the Shanghai Masters was fantastic to watch. Kyren Wilson did tremendously well to win his first ranking event. I was impressed with his all-round game, very good safety and good positional play. Judd Trump lost the final, but is proving again to be the man to beat for the rest of the season – he’s coming of age now, and is near enough the finished article. His game is strong in all departments, and it will take players at their very best to stop him from winning every event he enters. 6 minutes and 40 seconds … and his 4th in a Snooker Legends exhibition. I was a night to remember at the Snooker Legends in Scunthorpe yesterday, as Ronnie made a 147 in frame seven, en route to beat Jimmy White by 6-2. Matt Huart, the author of Pro Snooker Blog and hugely respected snooker “anorak”, was there and here is his report on the night. 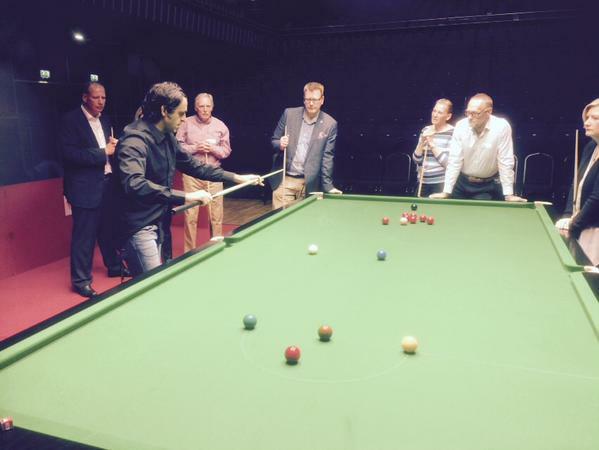 Before the show Ronnie had taken some time to coach members of the Clugston Group, the event sponsors. 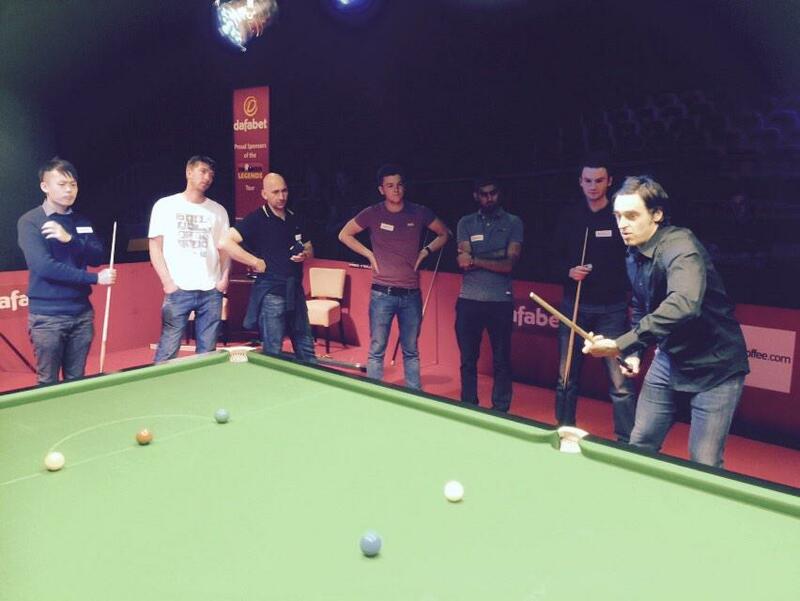 Ronnie was at the Crucible Club in Newbury for his first “Club Night” and took on eight local club players, each in a one frame challenge. Those club players are no pushovers, they are useful amateurs. Ronnie won 7 out of 8 of his matches, making 3 centuries in the process, but Ollie Douglas cleared up to seal the only “amateur win” of the evening. Listen to Midweek Matchzone n°17 . Chris Hood and Ronnie discuss fantasy “Sporty” Big Brother, Shanghai Masters, Formula One and Football, plus Ronnie’s challenge! Ronnie and Jimmy White played a Snooker Legends exhibition match yesterday in Guidford. The event was sponsored by Dafabet. Jimmy won the exhibition match itself by 5-4 … on the black ball shoot-out. Here are Jason Francis “report” tweets as the match went on. Ronnie made it 4-4 so it’s black ball shootout time! Going by the fans tweets afterwards, it was, once again, a very entertaining night, that concluded with all Legends, Ronnie, Jimmy, Michaela Tabb and host John Virgo signing autographs for the fans.